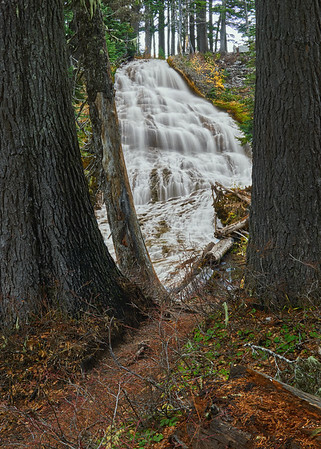 Umbrella Falls is a family friendly hike with refreshing views, some snow, and a relaxing place to have lunch. Nestled right by the Mt. Hood Meadows Parking lot. It's a short jaunt down to the falls. 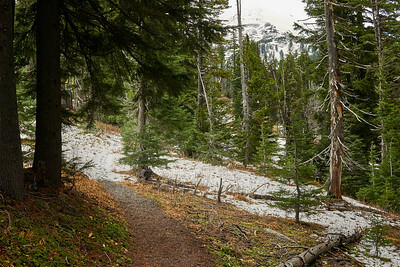 The trail starts on the east side of the Meadows access road just before the main parking area. 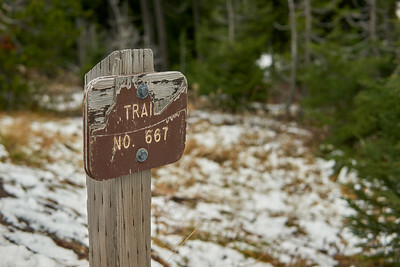 Look for the trail marker sign #667. This hike being only a quarter mile or so makes it a fun spur of the moment hike. 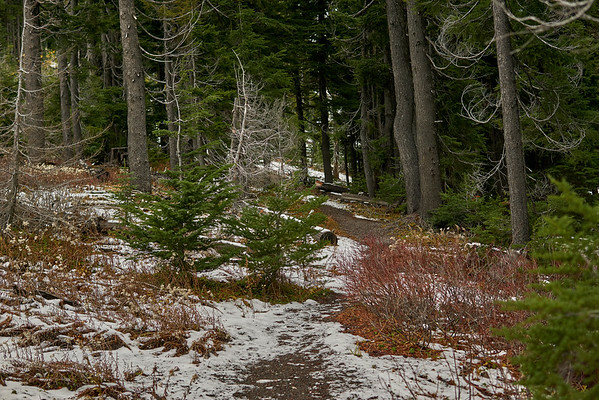 During the winter months you can Snowshoe in fairly easily, while the summer months make for a quick colorful walk. 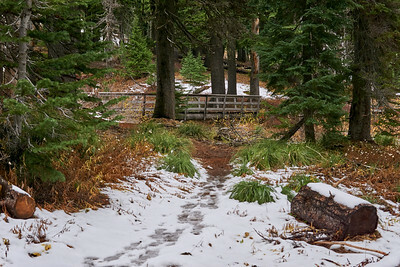 The trail is fairly straightforward starting in the trees where you can catch Glimpses of Mt. Hood in the distance. 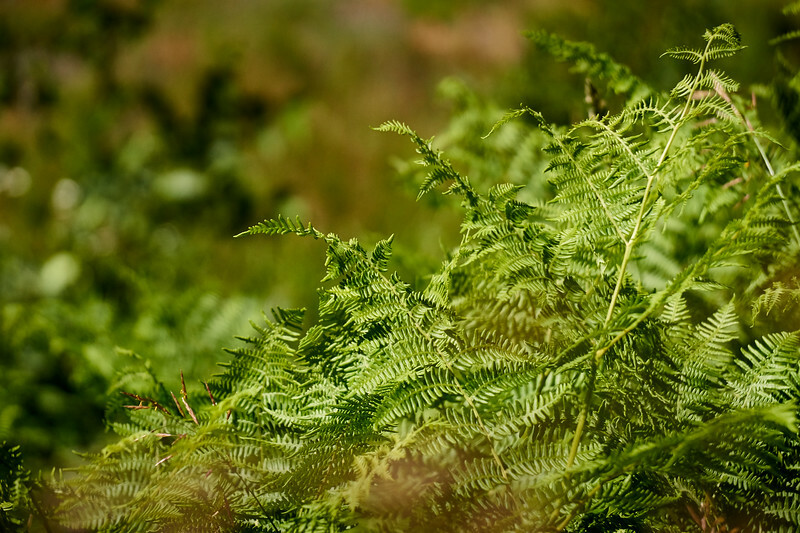 It quickly opens up into a meadow that can be marshy at times. One of the outlet Creeks of umbrella Falls can be seen off to the right as you go along the trail. I had some snow on the ground, not a lot but enough to make it slippery in the uphill spots for those that aren't as quick on their feet. 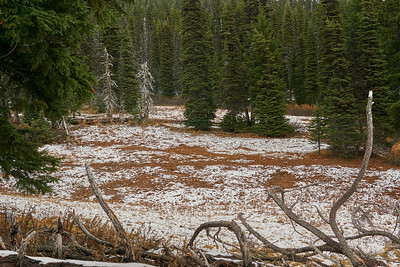 After passing the meadow you will re enter into the trees. At this point you can hear the Falls crashing down just around the bend. 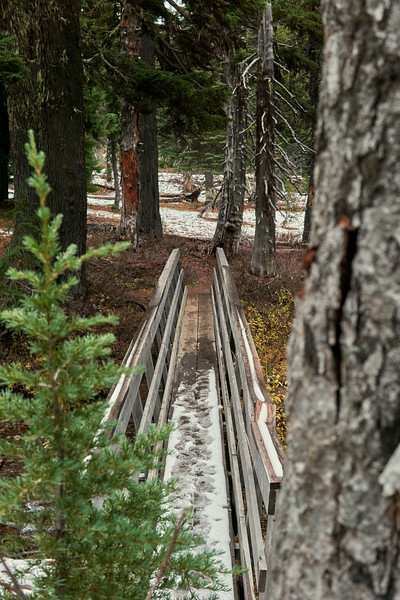 You will be greeted with an awesome wooden bridge that crosses the falls stream. Before crossing the bridge a short trail to the left leads half of the way up the fall. 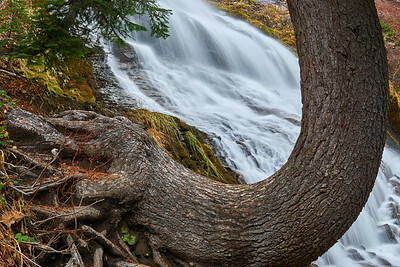 You can get close to the rushing water and see a tree that grew sideways seeming to defy erosion. 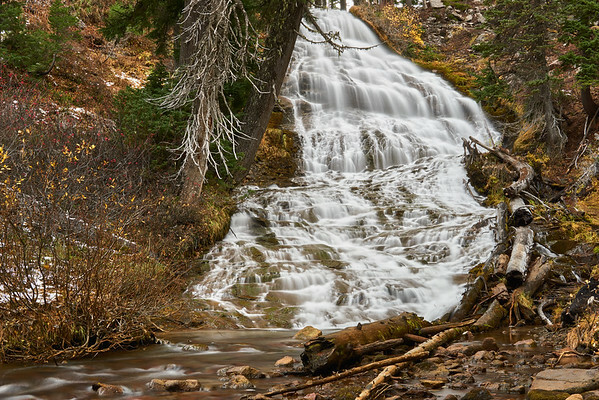 The water flow is a steady stream throughout the year becoming stronger in spring as the snow melts off. Having a nice tumble to the water keeps it from freezing up in the winter. This makes for a colorful view in the fall and a stark contrast during the winter months. the entire area is very picturesque and I frequent it often to see what else I can find. 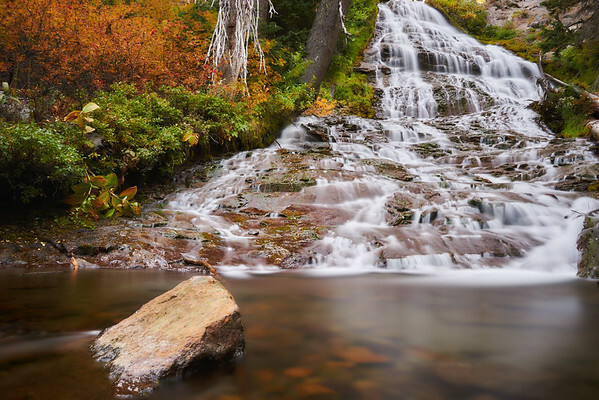 Once you've had your fill of the gorgeous falls, you can either head back to the car or continue along the #667 trail to the right of the bridge. This would lead you down to Sahalie falls. stay tuned for the continuation hike to Sahalie and other areas I frequent!